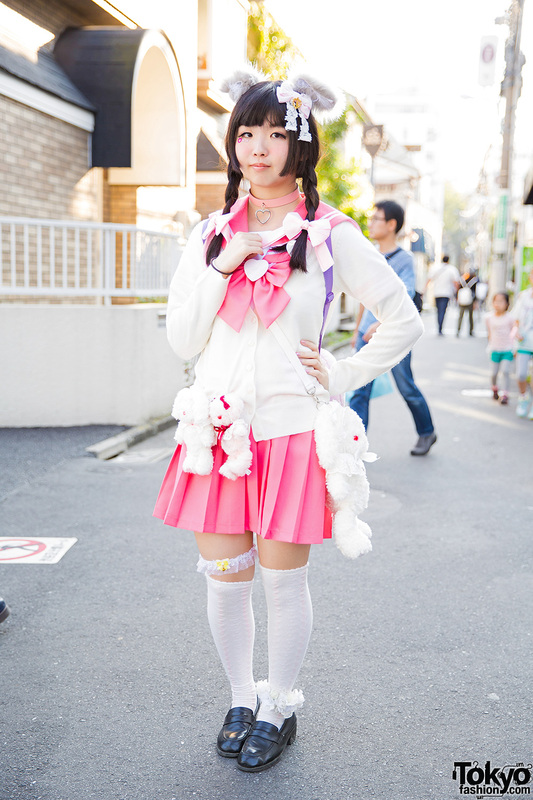 Harajuku girls in kawaii pastel fashion with varsity jackets and platform shoes. Harajuku girl with twin tails wearing a polka dot dress with a choker, purse, sailor tote bag, ball joint tights and wooden platform shoes. 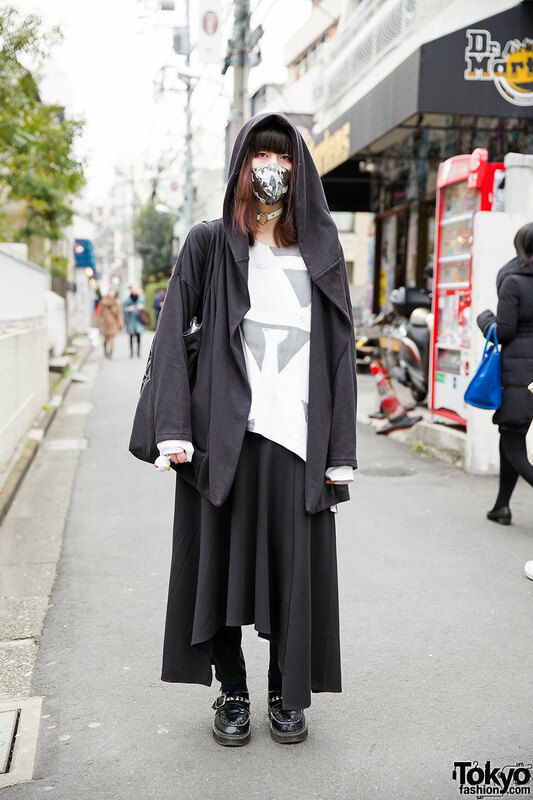 Harajuku girl with face mask wearing a long hoodie over a geometric t-shirt, maxi skirt over pants, tote bag and creepers.